Category Archives for "Marketing Management"
Everyone’s talking about “big data” and how data-driven marketing is the new wave. There’s no doubt, big companies have more data to work with than ever before. And that data often contributes to successful marketing initiatives. We did the book cover and a complete branding program around this title. Get it on Amazon. Thanks to new technology, golfers can now get data on every little nuance of the golf swing and the game. Hop on a launch monitor for 30 minutes and you’ll have more swing data than you can possibly use. 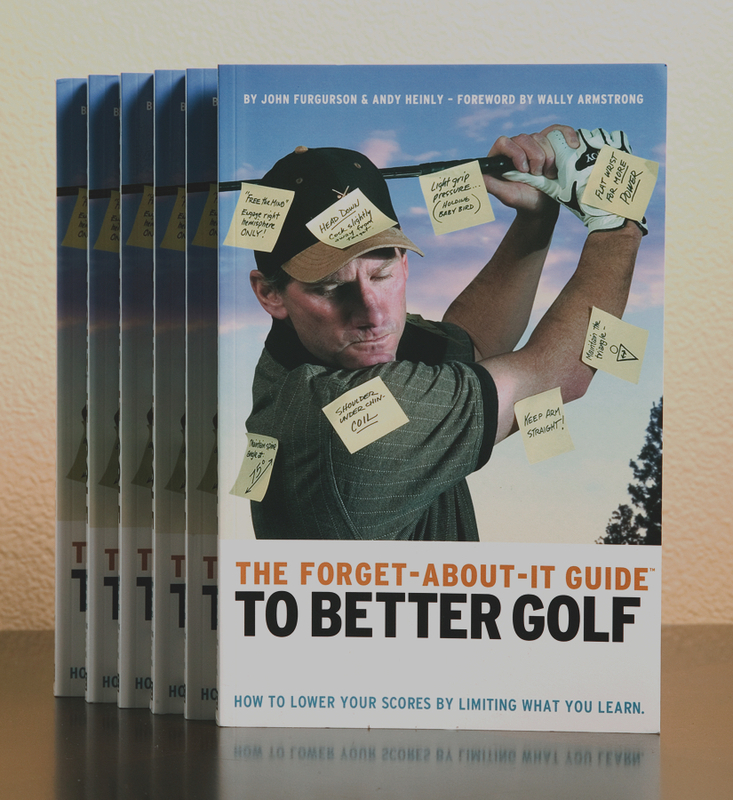 But in golf, over-analysis never produces good results. If you’re thinking too much about the mechanics of your swing — rethinking the last shot, regripping the club and worrying about the position of the left pinky at the moment of impact — your execution will fall short. Same thing happens in marketing departments and small businesses. People get stuck in a rut of over-analysis. They think things to death and worry about all the wrong details. When they finally pull the trigger on something, it doesn’t meet expectations because, perhaps, it was micro-managed. Which, of course, makes it even harder to pull the trigger the next time. Blame it on fear. Fear, ego and insecurity. Most marketing managers are not operating in corporate cultures that encourage frequent failure. Just the opposite. So they’d rather do nothing than launch a campaign or initiative that might not produce stellar results. Continued analysis is just a form of procrastination. And procrastination is just fear and insecurity talking. 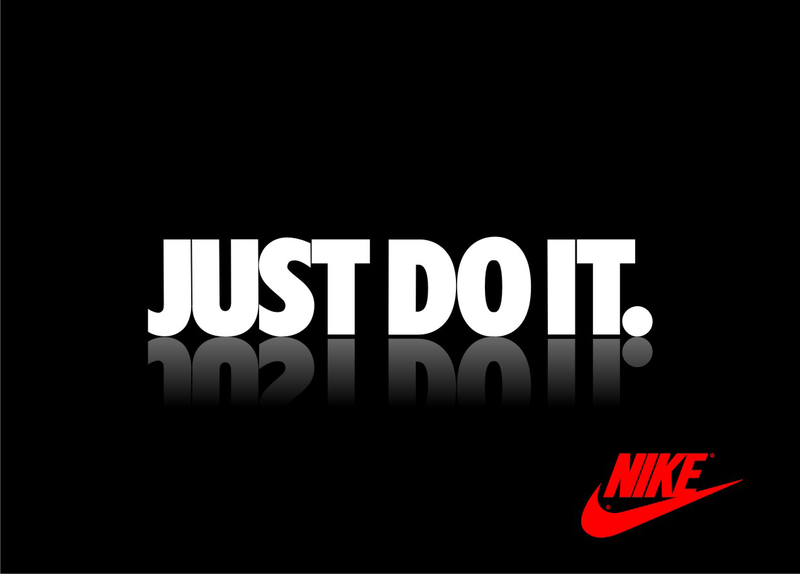 “Just Do It” will go down in history as one of the most successful and memorable slogans of all time. It cemented Nike’s #1 position in a massive market and became the cultural soundbite of an entire generation of wannabe athletes and weekend warriors. And they did it without “big data.” No one would have called it a data-driven marketing initiative. Don’t get me wrong, when it comes to jump-starting the creative process there’s nothing better than a veteran account planner with good research and a brilliant creative brief. But let’s face it, that scenario only applies to one-tenth of one percent of all marketing efforts. Only the biggest brands with big ad agencies can afford that luxury. At some point, they just have to move forward, regardless. And here’s another type of “data” that constantly sabotages progress: Institutional memory. 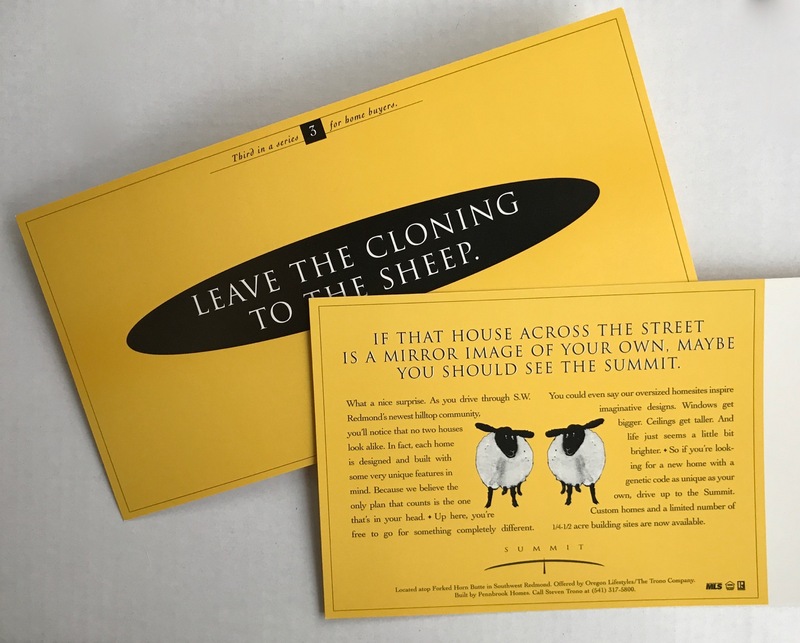 Managers who have worked somewhere for a long time often say ” we don’t do it that way.” Or “this is how we’ve always done it.” Their institutional memory overrides good new ideas or any insight that might be generated by data-driven marketing. And how’s that working out? Insecure marketing managers are often the ones who know, deep down, that they’ve been promoted beyond their level of competence. They’re afraid of being found out, and that fear affects everything they do. They fill their teams with clones of themselves and with sub-par talent in order to elevate their own status. They find their way onto teams that are led by other grade C executives, rather than A-grade players. They squelch initiative and kill great ideas at the drop of a hat. To the insecure over-analyzers I say this: Pull your head out of the data and Just Do It! The best way to gather more data is to get something done and then look at the results. At least your missteps and blind alleys can lead to insight about where NOT to go next. If you do nothing you have nothing to go on. No new data. One of my favorite sayings applies here: “Action is the antidote for despair.” If you’re stuck, do something besides more analysis and more stewing. Take action and keep in mind, failure is, ultimately, the key to success. Creative types— the writers, art directors and designers who execute great ad campaigns — know this intuitively. Getting shot down comes with the territory, and we always have five more good ideas ready to roll. If only the client would just let go and pull the trigger. So by all means… employ data-driven marketing. Use all the information at your disposal to gleen some insight that will, hopefully, inform your marketing efforts. But don’t expect data-driven marketing to be the panacea. Big data doesn’t replace the need for a big idea. For more on how to manage your marketing efforts, check out THIS post. It didn’t take long to get through the wildcard round at the Bend Venture Conference. Each presenter had exactly 60 seconds to do an elevator pitch. The best short pitch won a chance to do a 10-minute presentation later in the day. The ultimate prize: $110,000 in venture capital. So here are a few tips for for anyone who’s trying to convey a big idea in a really small amount of time. These are good guidelines for any entrepreneur who needs to craft a tight elevator pitch. • It’s not so much what you say that makes a difference, it’s what choose NOT to say. The objective of the one-minute pitch isn’t to close the sale, it’s to open your audience up and leave them wanting more. Don’t educate them, just tease them. Withhold some really important bombshells for the next meeting. • Don’t try to condense your 20-minute slide deck into one minute. About half of the wildcard presenters did this… they just cherry-picked what they thought were the most important bullet points from their 10-minute PowerPoint presentations. But a one-minute elevator pitch is a completely different animal. You need a script that’s conceived, written and honed down specifically for the purpose or dramatizing your big idea. • Tell your story, starting with the problem and solution. Get to the value proposition immediately. In radio, 60 seconds is enough time to establish a plot, develop memorable characters and introduce a touch of humor. 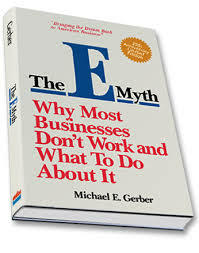 So you should be able to convey the gist of your business idea in the time allowed. The other thing you can learn from advertising is this: Great print ads work on a 3 second level, a 30-second level, and a 3-minute level. Your pitch should work the same way, if you have time. •Whatever you do, don’t start with numbers! It doesn’t matter that your market is 39 zillion dollars, launching into your pitch with a big number will not differentiate you from all the other presenters. Besides, the stats just won’t resonate with 99% of the people in the audience. You can address the market size later, if you make it to the next round. It’s way more powerful to show how your product will solve one person’s problem. • Get the right guy up on stage. A tightly edited script is crucial, but you also need a good, credible pitchman. The best presenters engage the audience with some charisma and deliver the message with passion and clarity. They have just the right balance of bravado and business sense, so they don’t come off sounding like a used car salesman, on one hand, or an engineering geek on the other. It’s not always the CEO or the person with the most experience. One of the presenters on Friday had a good script, but his demeanor was just too laid back to get people’s attention. Another, who had an impressive track record of start-ups, bumbled it completely. • Forget about introducing yourself. You don’t have time to be cordial. In his book, The Art Of The Start, Guy Kawasaki puts it this way: “ Unfortunately, entrepreneurs still believe a pitch is a narrative with an opening chapter that must always be autobiographical.”Don’t talk about yourself or the management team. That can come later. Instead, get to the gist of your idea right away. • Remember, the voting audience is judging the presentation as well as the idea. If your business idea has a major WOW factor then you can let the idea carry you. But you still need to verbalize the idea in a compelling way. For instance, there was a company at the Bend Venture Conference that has potential to cure Malaria. Seriously. Unfortunately, the presenter completely missed it and bored the audience to death. They may have had the biggest big idea of all, but they got beat out on style points. • Step out of the businessman mode for a minute, and think like an advertising guy. How would a classic pitchman dramatize your idea in a 30-second spot? Can you demonstrate it? Showing is always more powerful than just telling. 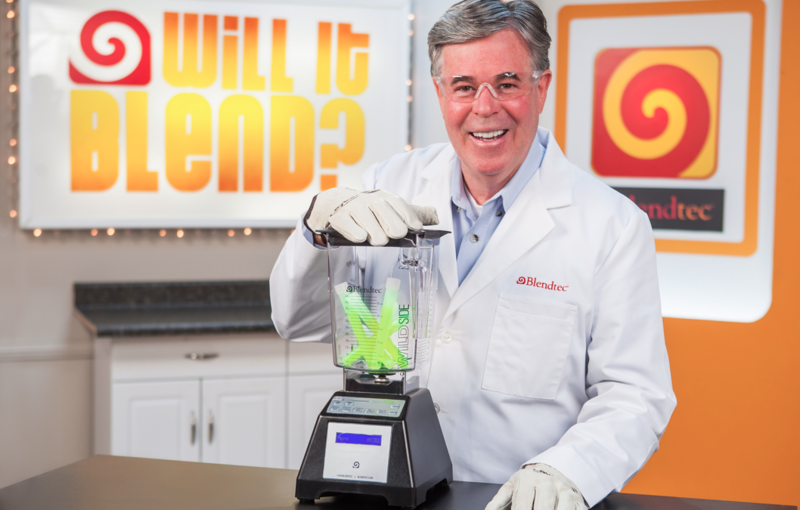 Everyone remembers the “Will it Blend” series for Blendtec. • Don’t underestimate the power of a good, old-fashioned product demonstration. Guess who won the wildcard round… The one guy who could demonstrate his product right then and there. He showed the audience what his product does, and didn’t waste one second explaining how it does it. 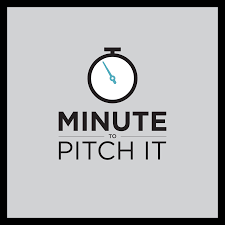 Writing your one-minute pitch is one of the hardest things you’ll do. You have to put aside your businessman hat, and think like an entertainer. It’s not for everyone. If you want to learn more about how to polish your pitch for venture capital, click here. If you want to save yourself a lot of pain and agony, dial this number: 541-815-0075. It doesn’t cost much, but it can pay off big time.